Like most boys, Ethan is starting to love superheroes. 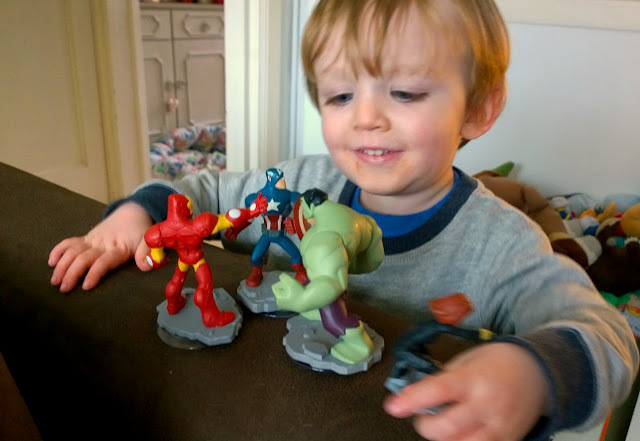 We have a few of the Disney Infinity figures and Ethan has taken to playing with them, saying that Iron Man is Daddy, Black Widow is Mummy and that he's Hulk. They then all play 'house' in an old fashioned toy house my Dad found at a charity shop that Ethan loves. It's an Avengers Apartment, if you will. He looks very happy with his superheros there, great for imaginative play too. #TBT - Why don't we put ourselves first?